Samsung has been breaking financial record after record lately thanks to strong sales of memory chips and steady display business profitability, but in the face of strengthening competition and a global smartphone market slowdown, the company’s Galaxy handsets are nowhere near as hot as they used to be. The problem lies mostly in the mid-range segment, where the Galaxy A and J families are simply incapable of keeping up with the affordability and innovation of key rivals from OEMs like Xiaomi and Huawei. At the same time, the Galaxy S9 and Note 9 flagships haven’t exactly set the world on fire either, building up immense pressure for 2019’s Galaxy S10, Note 10, and foldable Galaxy F.
After staying optimistic all year and trying to put a positive spin on an obviously struggling business, Samsung’s President of the Mobile Communication division has finally acknowledged the situation, as reported by The Korea Herald. Wait a minute, is the Galaxy S9 successor called Galaxy 10?! The Korea Herald seems to think so, also labeling the device with a possible name that almost sounds like a joke. If Samsung unveils the Galaxy X in February 2019, the company is setting itself up to fail, pure and simple. Interestingly, unnamed “foldable phones” are also mentioned as strong candidates for February announcements, followed by March commercial rollouts, although we’re not entirely sure the plural means anything. March 2019 sounds a little early for the release of one “Galaxy F” model, let alone more of them. Can Samsung bounce back and fend off the rising Huawei threat? We’ll just have to wait for the “Galaxy X” and see. Simple, stop raising average phone price every year. People simply can't afford to buy $800-900 device every year and even every 2 years. Consumer also looks elsewhere for a better money for value prospect. Keep to their devices longer. Big companies also known to be slower adjusting to market changes. Lately Samsung marketing is fun and eye catching but is this enough? Probably not. True. and why do we need a flagship every year? why can't we have something really new and innovative once every 2-3 years? outing hundreds of millions of phones every year just for the sake of growth is retarded at best, infinite growth is unsustainable, at some point all will collapse, what they do instead? they raise the prices and then afterwards they complain that the phones are not selling well and we have difficulty growing. 2019 will be the $2000 USD dollar phones year, f**k those who will buy them. Samsung have spent too much time and energy focusing on Apple and the US market and have been blindsided by the Chinese. What Xiaomi did to them in India in a very short time shows that. Huawei have also proved that you don't need the US market to succeed. They've also overpriced their mid and low-range phones whilst using inferior soc's and other internals. Their flagship designs are very nice but that's not where their bread and butter lies. How many $1,700 foldable phones can they sell? A $750 Galaxy S10 would be a big hit in my opinion and really hurt Apple's XR and other OEM's. They think they can do the same as Apple and get away with it. PhoneArena can finally celebrate. In fact I can already even see the 'Samsung the next HTC' article coming. Here's an idea. Put a one or two year old high-end Exynos and a decent camera in a midrange phone with good design and sell it for $350. It will sell like crazy in a place like India. Those two items are made in-house anyway and will just gather dust. It would give buyers a great user experience and be a good deal. Next 2 years is their last chance for bringing innovation and affordability to their midrange smartphones A series.If they can't get it right even with this president and new president base on market changes,competition and demands then they bound to fail and get overtaken by Huawei very much and Xiaomi for sure.Even if they get it right later 2 years it will be too late. Well they have been slacking off in some hardware departments compared to other Chinese companies. 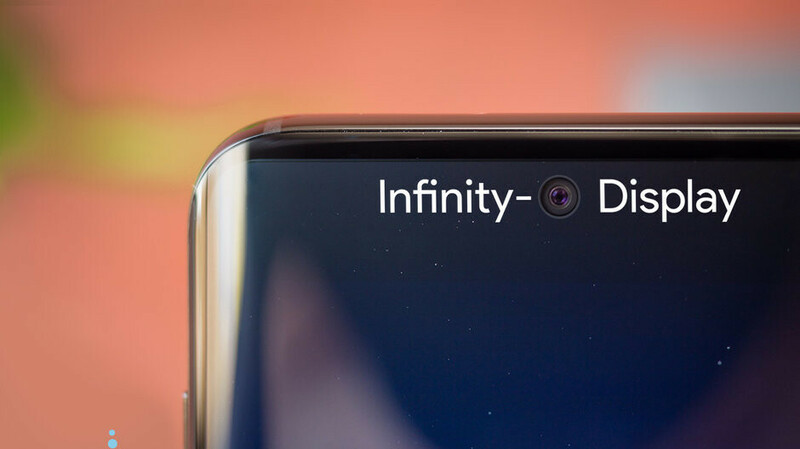 I hate to admit it, but most of them now have slide mechanisms for their front/back cameras for really immersive screen to body ratios, they have an in display fingerprint sensor, and some offer ridiculous charging speeds compared to other Samsung flagship phones. While the Samsung phones might have a very strong brand recognition around the world, it is slowly being chipped away by fierce competition from other Chinese phones. This is a great point, the only reason I am not using one of the phones you described is availability and I can't use it on my carrier. If those limitations weren't there I would definitely be trying a different device. I'm not sure how responsible they are for keeping phone choices low in the us market, but it seems every phone I'm interested in doesn't come to Verizon. Leaving Samsung as the best choice for me on the only network that works for me. I feel you as well. It seems to be the same in South Korea as well. Our only option is Samsung , LG or Apple. While there are Sony options, they are not really practical in terms of the fact that they only have 2 repair shops and all of them rely on 1 of them to fix your device if it needs fixing. So far we had a few Xiaomi phones that came in here officially, but at the cost, it seems like it would be better off just importing those phones rather than buying through carriers. Really hope we get some more variety here. The Nokia brand seems nice along with Oppo and Vivo's complete edge to edge screens with sliding cameras seems really nice too, but those are out of the question unless if you are willing to take the risk of importing them. With the amazing OnePlus 6T at an affordable cost, why would you want to spend $1K on a phone? Samsung and others need to step up and I don't mean price either. I agree. OnePlus is killing it and I'm glad. I thought I was going to get a Nokia, but they are still dropping the ball when it comes to the US. OnePlus is the best fit imo. I'm going to take advantage of that OnePlus 6 deal, as I already have picked up two of the newer Nokia branded smartphones that are sold here in the U.S., despite what some people say about them dropping the ball in the U.S. OnePlus makes some great smartphones, and the 6T launched without a hitch, unlike a certain flagship from Google that has launched out the gate with a myriad of issues. Easy fix...... 1) Lower prices 2) Get rid of Bixby or give the user an option to disable it permanently 3) Get rid of bloatware 4) Faster OS updates. I agree prices needs to be lower. Huawei and xaiomi are putting huge pressure on Samsung. The quality is very good and is only getting better every. They're offering more value than Samsung. Samsung's foldable phone can be a huge success however they need to price it right. They have to be bold and think about selling huge quantities at much lower mark up. If xaiomi can sell the pocophone F1 for 300 for flagship specs Samsung can sell the foldable phone for a 1000 and probably make only 200-300 from each. Samsung is huge and doesn't rely on their phone sales. Components are by Samsung. They can't really lose. Can't really blame them when they're competing with the predatory pricing of Chinese (backed by the deep pockets of the Communist State), and also the increasing brand loyalty of Apple. In order to keep up with Huawie, Samsung must release a sub-brand like "Huawie on Honor Brand" with new light stockish ui not heavily samsung skin just like oxygen os, FLAGSHIP SPECS with again removable back, FLAT SCREEN, amoled, with replaceable battery never mind the plastic back but stainless steel frame, dont forget the HEADPHONE JACK and fm radio with slightly above pocophone price and that's for me is a WINNER!!! Stock UI doesn't sell in any significant numbers. Samsung truly desperately needs its own OS and ecosystem. They really need to push Tizen, Galaxy App Store and Bixby harder than ever before. They need to get their customers switched away from Google as quickly as possible. They need to give their customers a reason to keep buying their products by doing what Apple does; offer a better user experience than what Android or Google does. As long as Samsung continues to use Android, they will continue to be eaten alive by Chinese competitors who are prepared to undercut them. Everyone should be following Apple’s business practices.